When I give presentations on our Refugee Admissions Program, I am asked all the time if we are taking Syrian Christians in our refugee flow and I tell people—very few! I had heard anecdotally that Christians fear the Muslims in the United Nations camps. Last week Leo Hohmann writing at World Net Daily confirms our suspicions in an article entitled, ‘Obama response to Christian killing fields ‘horrifying’. 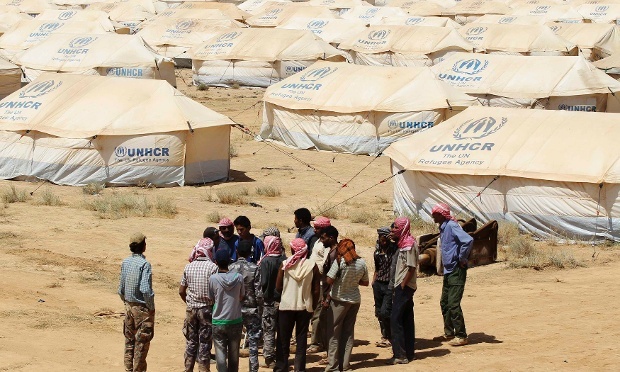 As of December 2014, 600,000 Syrian Christians had fled their country or have been internally displaced, Marlin reports. In Aleppo, more than 65 percent have been forced to leave. So every time you see a Syrian camp photo, or see that one of our resettlement contractors is over there helping in the UN camps, or you see Angelina Jolie visiting a Syrian camp, remember they are helping mostly Muslims. Just a few days ago, I reported that the refugees now numbering over 1,000 who have been admitted to the US since 2012 are 94% Muslim. After reading this WND article I went back to check the data base for just the Syrians admitted to the US in 2015. What did I find? The number of Muslims admitted is even greater when only 2015 is analyzed! In 2015 we admitted 763 Syrians so far. Of that number only 23 are Christians, 36 say they are simply Muslim and another 698 are Sunni Muslims. So 96% of those arriving in US towns and cities are Syrian Muslims (mostly Sunni Muslims). That means that US resettlement contractors including the US Conference of Catholic Bishops, Lutheran Immigration and Refugee Service, World Relief, Church World Service, Episcopal Migration Ministries and the Hebrew Immigrant Aid Society are placing mostly Sunni Muslims (chosen by the UN) in your towns! And, you pay for it! The Jihad Caucus is aptly named! Fourteen US Senators have asked Obama to admit 65,000 Syrians before his term in office ends. We call them the Jihad Caucus because they are advocating for more Muslim refugees to be admitted to the US. I read of the many cross-currents of contrariness and wonder: “Who is handling this tragic escape from the reality of hatred and violence in lands that are blind to the solution? The solution is “freedom of religion.” Let us pray for it. Let us advocate it. The answer is perfectly clear. America must play their Trump card. Can he do much about the U.S. debt? Not a lot. Can he stem the tide of welfare costs. An awful lot. In ONE FELL SWOOP he can seal US borders from illegal immigrants and only allow into the U.S. Bona-Fide asylum seekers, certainly not Muslims fleeing from Muslims. The Arabs/Muslims alone, or for the most part, can bring about stability in their own countries by STAYING PUT and purge their Governments of extremist Muslims – in fact, exactly the same as the USA must do with Obama.